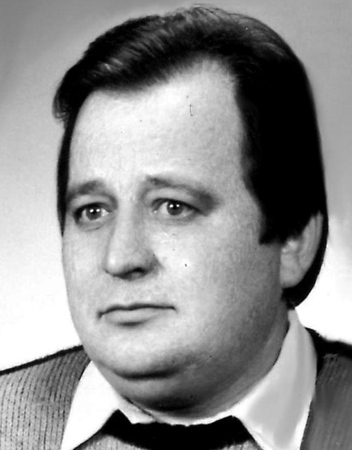 Jozef Bak, 64, died on Sunday, April 7, 2019, one day before his 65th birthday. A devout Catholic and parishioner of Sacred Heart Church, he would begin each day by praying the rosary. Known as a "Man of All Trades," he was an experienced painter and enjoyed doing home renovations, and was a general handyman who could fix anything. Jozef was also an excellent cook and looked forward to preparing delicious meals for his family. His caring nature will be missed by all who knew and loved him. Jozef is survived by his wife, Krystyna (Karas) Bak; his daughters, Iwona and Agnieszka Bak and Magdalena Malyszko and her husband, Szymon; his cherished grandchildren, Briana, D'Andre, Emilia, and Baby Nikola, due to be born soon. He is also survived by his siblings and their spouses, Zofia and Antoni Gubernat, Jan and Halina Bak, Kazimierz and Irena Bak, Miroslawa and Gary Farrell, Bogdan and Lucyna Bak, Tadeusz and Bozena Bak, Jerzy and Agnieszka Bak, Marek and Krystyna Bak; his brothers-in-law, but in particular, Jan Karas and his family, as well as many nieces and nephews. Relatives and friends are invited to call TODAY, Tuesday, April 9, from 5-8 p.m. at the Duksa Family Funeral Homes at Burritt Hill, 332 Burritt St., New Britain. A brief visitation will begin at 8:45 a.m. at Burritt Hill on Wednesday, April 10, followed by a Mass of Christian Burial at 9:30 a.m. at Sacred Heart Church. He will be laid to rest in Sacred Heart Cemetery. To share a message of sympathy with his family, visit www.duksa.net .